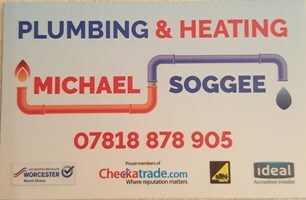 Michael Soggee - Central Heating Engineer, Plumber based in Coulsdon, Surrey. We pride ourselves in offering a prompt, efficient service and are always conscious of our customer’s needs. We are also pleased to offer free estimates, domestic work and 24 Hour call out. Please call on 020 3560-5555.